DVD Yoseikan sogo budo vol.1 - MOCHIZUKI trained with famous masters. Minoru Mochizuki was a pupil of Morihei Ueshiba (AIKIDO), Kyuzo MIFUNE and Jigoro KANO (JUDO). He is the founder of YOSEIKAN Budo Sogo. First DVD of the series "Yoseikan sogo budo". For beginners. 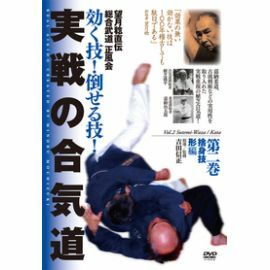 This DVD presents advanced techniques of YOSEIKAN school with demonstrations of the worldwide famous master MOCHIZUKI Minoru.